Volkswagen has taken out the Wheels Magazine Car of the Year award for a second year running. The Volkswagen Polo has followed the Volkswagen Golf to small-car fame, winning over the Car of the Year judges with its "beautiful" engineering. Wheels Magazine editor Bill Thomas said Volkswagen had scored the third back-to-back win in the 48-year history of the award — the first since 1984-85. Nissan/s Micra and the Renault Megane, both small cars, joined the Polo as top three finalists for the 2010 award and Thomas said it was not surprising to see small cars taking the limelight. "It's a fair indication of the way trends are going in car buying in Australia - small car sales have gone up by 55 percent over the last ten years," Thomas said. "It means that a third of all new cars sold in Australia now are small cars. "Fuel prices are pretty nasty, but it is also to do with how much small cars give you these days and the top three is a reflection of that." The base model Polo Trendline's list price is $16,690. 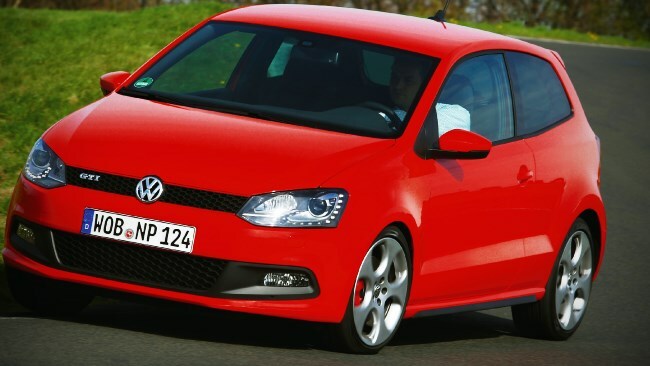 "The Polo is a beautifully engineered car for the money,'' Thomas said. "It has two brand-new engines: an efficient 1.2 turbo which replaces the old 1.6, and a new turbo-diesel." Nissan's Micra made the magazine's top three finalist's stage with its low cost and great handling. ''The Nissan Micra is the best car ever sold for under $13,000 in Australia,'' Thomas said. The most expensive of the final three, The Renault Megane 250 RS hot-hatch, sells for approximately $42,000. ''It has supercar-like handling for a fraction of the cost,'' Thomas said. Related video: It’s the year of the small car. This year, the Wheels Car of the Year award finalists are more hatch than hummer with Renault, VW and Nissan in the running for the coveted title. A Current Affair reveals the title winner for 2011.